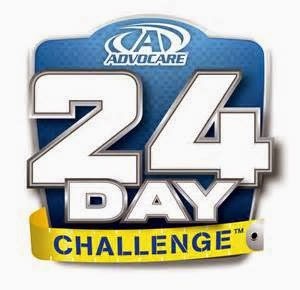 As I mentioned in a prior post, I started the 24-Day Advocare Challenge on Wednesday June 10th. The challenge starts with a 10 day cleanse and then the last 14 days is considered the max phase. Today I start the max phase so wanted to provide an update of my results after completing the cleansing phase. I lost exactly 9 pounds in the first 10 days! This also got me back on track to meet my 90 day goal of losing 25 pounds by August 15th. I'll provide another update next Saturday after my morning weigh-in. To learn more about the 24-Day Advocare Challenge, click HERE for details. If you're ready to get started on the challenge, order everything you'll need by clicking HERE and make sure you see this name and picture in the top right corner to ensure you're ordering from Michael Watkins. Please, maybe if enough people order he'll let me have a week with no burpees! Ha! Daily Thoughts - Are You Working Out Correctly?